It can be dissolved in propylene carbonate, dimethoxyethane, and/or gamma-butyrolactone for use as an electrolyte in lithium batteries. 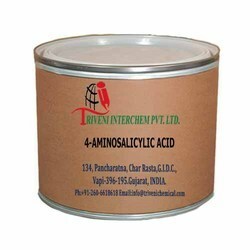 4-Aminosalicylic Acid (65-49-6) is Beige Powder. it is also known as Para-Aminosalicylic Acid. it is use in Tuberculosis and Anti Tuberculosis Industry. Storage: Keep container tightly closed. Keep container in a cool, well-ventilated area. 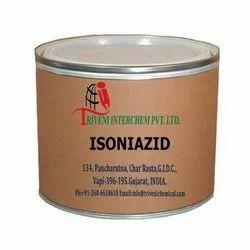 Isoniazid (54-85-3) is white powder. it is also known as isonicotinic acid hydrazide. it is use in tuberculosis infections, TB infections, antibiotic and Antitubercular Industry. Storage: Keep container tightly closed. Keep container in a cool, well-ventilated area. Looking for Tuberculosis API ?